Monica B. Wilkinson is a member in Dykema’s Detroit office and leads the Firm's Health Care Practice Group. Monica has more than 30 years of professional experience in health care working with hospitals, physicians, managed care organizations, and nonprofit foundations. She has led cross-functional teams of legal, regulatory, compliance, operations and development professionals. Prior to joining Dykema in 2013, Monica served as Senior Vice President, Assistant General Counsel and Assistant Secretary at the Detroit Medical Center, a multi-hospital academic medical center in Southeast Michigan. Monica focuses her practice on regulatory and compliance matters, complex contracting issues, medical staff matters, research, and patient care issues for hospital systems, physicians, and a variety of post-acute providers. In addition, she regularly counsels clients on Medicare and Medicaid regulatory requirements and compliance practices for contracting and reimbursement issues. 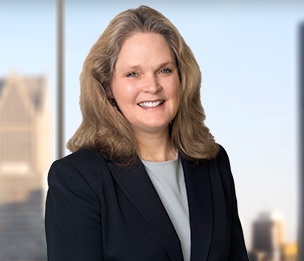 Monica previously served as Chair of the State Bar of Michigan Health Care Law Section and sat on the Legal and Operational Policy Committee of the Federation of American Hospitals.